My cousin’s partner works for Lush and they bought Andy and I an amazing Gift Set for our Wedding Anniversary. I was obviously delighted as I’m a big fan of Lush. My three products to use all year round are the: I Love Juicy shampoo, American Cream hair conditioner and Grass body wash.
Stephen chose six products for us. 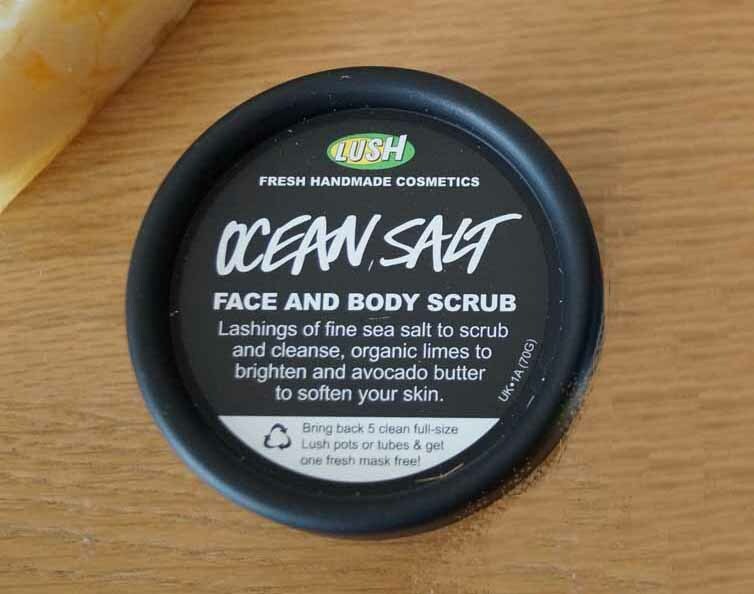 Ocean Salt This is a face and body scrub with lime and avocado butter. I have never used salts on my face or body before and I was a bit worried that it might be abrasive. I was pleasantly surprised. It just melted into my face and was really silky. I definitely needed to moisturise after so I couldn’t use it if I was in a rush and needed to wash and go but I suspect that is down to my overly dry pregnancy skin rather than the product. If there is any of it left by November then I’ll let you know. Happy Hippy and Dirty Springwash bodywashes. The first of these two shower gels smells a lot like the I Love Juicy shampoo but has a slightly more subtle scent and contains grapefruit for a bit of zing. It is the perfect size for taking to the Gym, if I let Andy use it, swimming pool (in my case) or on holiday. The second body wash has a gorgeously minty aroma but it doesn’t leave you smelling like you work in a spearmint chewing gum factory! I must admit that I prefer the scent after the product has been washed off rather than when I’m using it. Last but not least is Whoosh, a shower jelly. Again, a daily product in novelty form. A sense awakening fragrance with zesty lemons and limes but also a hint of rosemary to prevent it being overpowering. Fun to use and leaves the skin feeling super soft. I really want to try their tea tree toner spray.. I keep meaning to go into Lush and then forget! Yes, that sounds familiar – I always forget what I’m doing, often as I am doing it! I love their shampoo and conditioner as my scalp is very easily irritated and Lush is one of the few brands I can use. I’ve not tried their moisturisers yet. I’m currently using one from the Body Shop and love it. It is coconut and smells delicious. 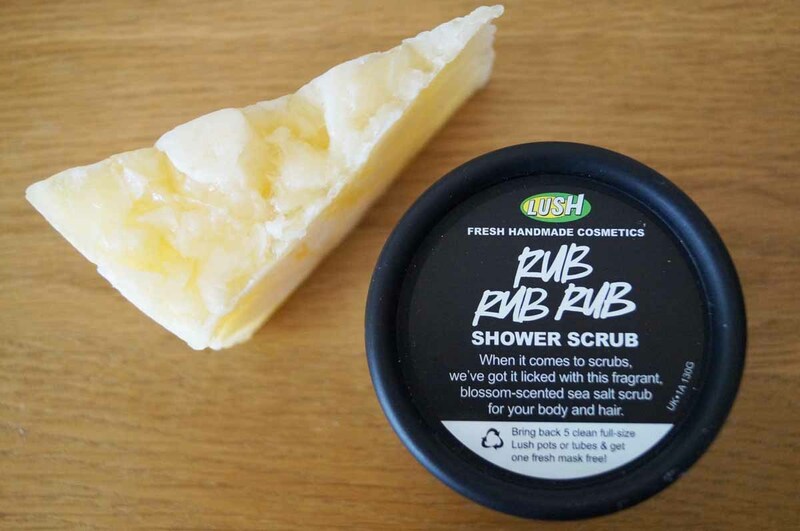 Lush always has great names for their products. They always stick in my mind. Aaah, I love the Body Shop too, and their coconut products. But it’s a bit pricey, but whenever I get something from there, it feels like a treat. 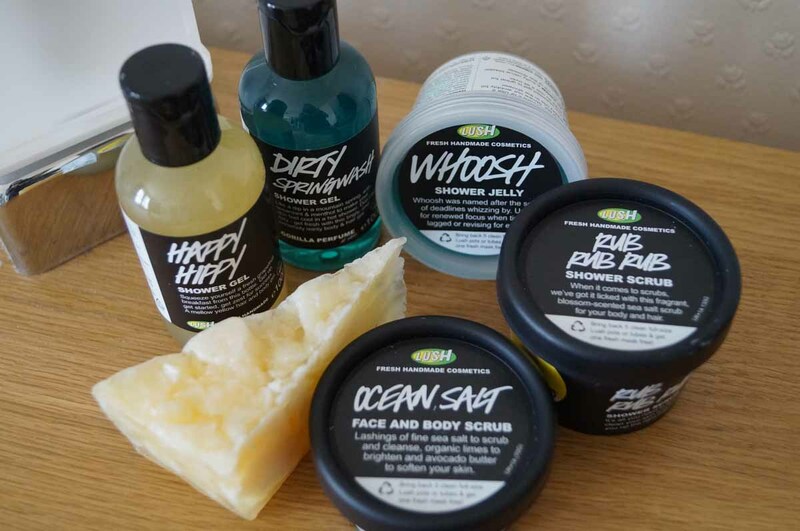 Body Shop isn’t very expensive here and I can get a lot of my favourite bits and bobs at Outlets which makes it even cheaper. If I visit next year then I’ll bring you a lil pressie. I LOVE, LOVE, LOVE the American Cream. It smells glorious and is so soothing on the scalp. I Love Juicy is amazing too. I hope you like it as much as I do. Have a great weekend! Ooooh, then I hope you’ll visit, Beth. But no pressure on bringing anything for me 😉 Body Shop in Australia has things in small sizes. It’s hard for me to go in, haha. I’ll try! I’m hoping to go to Thailand and Australia next summer. We will see how we get on with Baby No.2 and travelling.